I'm going to join Hanni at Sweet Bean Gardening with her 5th of the month Hope Grows Day posting. I have a lot to hope for in June. The first being, warmer weather to help the strawberries grow and the summer vegetables. 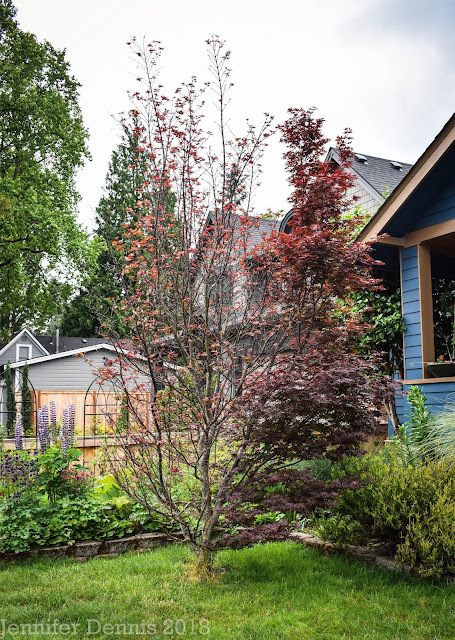 And for June, I hope to finish some projects in my front flower beds. I am finding that some plants I liked before are now crowding out others, so choices need to be made. That's a co-incidence as I have a front garden project too but I don't expect it to be anything special this year as the plants are just babies! Love your veggie garden! I have a lot of things I need to move because of overcrowding. I like things close together, but some things are a bit too close. Happy Hope Grows Day! Hi Jenni, I like the Hope Grows idea! I will try to join in next month. I had an overcrowding problem last year so I kept making notes all summer of where I would move things to in the fall. Of course I didn't stick to it. LOL. Did you see the comment for you from Corner Garden on my post from today? She told us that the Cornflower is also called Perennial Bachelor's Buttons! Hooray, hurrah! Glad you are joining in. :) I'm sure we will see veggies busting out of those boxes soon - your veg garden is very sweet & tidy. I've always wanted to try raised beds. Your veg boxes will fill out in no time. Mine are about same stage as yours. Re: your front garden - I have the same yellow-leaved shrub in my garden. I like it. It does seem to want to get bigger and bigger; I cut it back every year after it flowers. Someimes rather than move plants I just cut the border bigger lol! Cute gardens... I have just started our patio one... it was looking very very sad.. 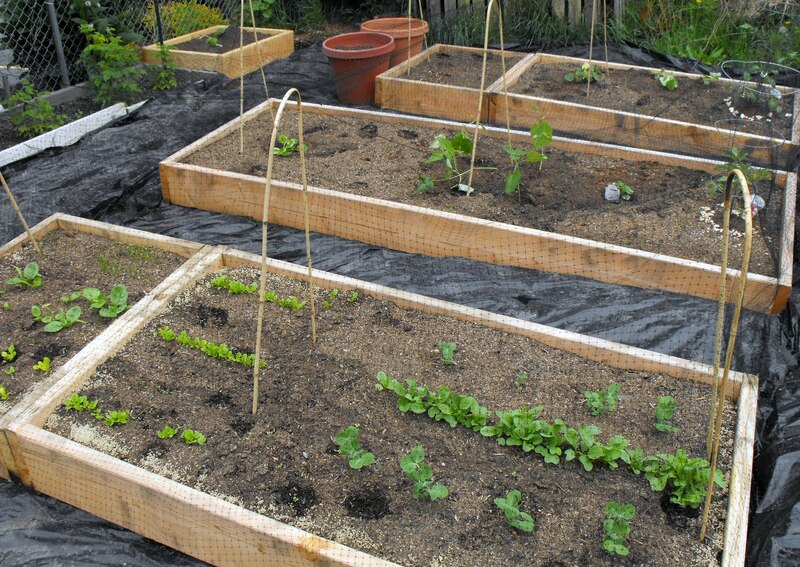 I like the raised beds Idea. I haven't got anything like it in my gardens...but several of my friends do...and they always seem to have wonderful bountiful gardens! good luck with the choices!!! Hi Jenni! Love your raised beds! 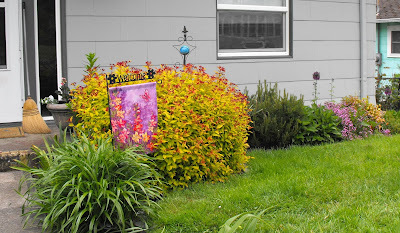 As for the overcrowding, I used to remove or thin out those plants that seemed to be overwhelming. Then, I realized that most of the plants look better in masses. So, I am changing my garden strategy a bit.